Are missing teeth or dentures taking the joy out of the things you love? Dental implants are revolutionizing the way we approach the problem of missing teeth. If you suffer from missing teeth, you’re not alone! About 178 million Americans have or have had a missing tooth. Think that is staggering? The fact is, millions of people are missing all of their teeth. However, at Stonebrook Family Dental, you don’t have to live life without a full set of pearly whites! Dental implants are a state-of-the-art option that allow patients to replace missing teeth with ones that look, feel and perform like natural teeth. If you are missing a tooth, restore your smile today with a long-lasting dental implant! Missing a tooth or two (or several) can be more than just a cosmetic inconvenience. There are practical negative consequences to missing teeth, which have everything to do with your dental health and the way you live. For starters, you have to stop or reduce eating hard food and change the way you chew. The way you talk and sound will be affected as your gums progressively recede. Without a tooth root to secure, your jaw bone will start to shrink and weaken, causing your cheeks and lips to eventually sag. Dental implants are the best option for replacing missing teeth as they are natural looking, strong and secure. In many cases, your dental implant might even be stronger than a natural tooth would be. In this procedure, we will place a titanium post into your jawbone. This will secure the tooth in your mouth. Afterwards, we will place a prosthetic tooth into the post where it will stay for years to come. Depending on your oral health, you may receive your dental post in one appointment and the dental crown (tooth) in a separate appointment to allow the post to securely set into the jawbone. 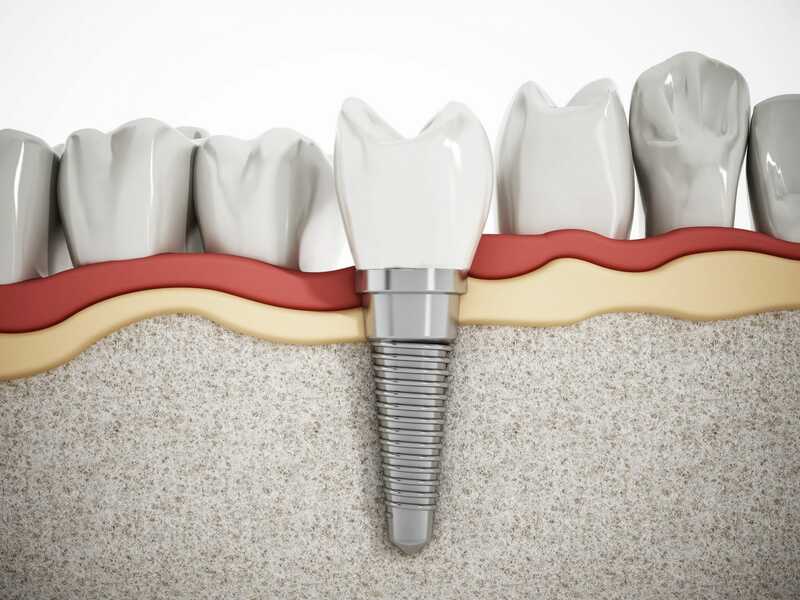 Although a dental implant is not a real tooth, it still must receive proper care as you would a normal tooth. The better you take care of your implant, the longer it will last. With your missing-tooth problem out of the way, dental implants greatly improve your health and put you on the road to better speech, better nutrition, and improved confidence from a complete smile. During your dental implants evaluation and consultation, Dr. Varley will discuss with you your candidacy for dental implants. Sadly, not everyone is an ideal candidate. Long-term success with dental implants relies on healthy gums, adequate bone support/density, and your commitment to excellent oral hygiene habits. Your bone density also plays a vital role in the success of an implant. You have to have sufficient bone in your jaw to secure the dental implant. The forces that impact your jaw on a daily basis from chewing can cause your implant to fail if you do not have the bone matter that you need. Gum disease is one of the other reasons that a patient has to postpone dental implant treatment. If you have gum disease, it will need to be treated before you can receive a dental implant. Other issues that could impact your candidacy include: autoimmune disorders that affect your ability to heal, uncontrolled diabetes, daily medications that can interfere with the procedure, and smokers who are not able (or willing) to stop smoking during the dental implant process. Dr. Varley and his experienced staff at Stonebrook Family Dental in Aurora, CO, will carefully assess your concerns and will let you know if dental implants are a good option for you. Implants are an excellent way to replace missing teeth without affecting the adjacent teeth. Stonebook Family Dental is here to help you you achieve a beautiful, healthy smile! Call us today at 303-872-7907 to find out if you are a candidate! At Stonebrook Family Dental, we treat you with the gentle dental care you need. We look forward to taking care of you.